A high-profile study, “India Health Report: Nutrition 2015”, released last month, has found that “developed” Gujarat lags behind most major Indian states in child nutrition status. 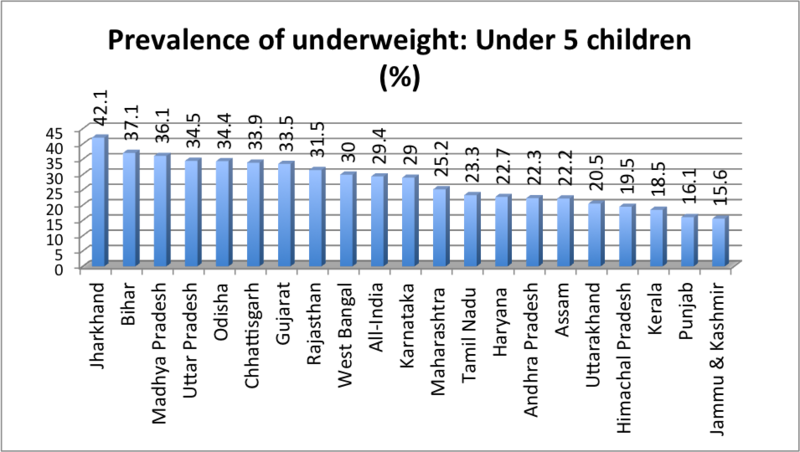 Quoting latest Government of India figures, the study says that 33.5 per cent of under-five children are underweight, which is the seventh worst among 20 major Indian states. 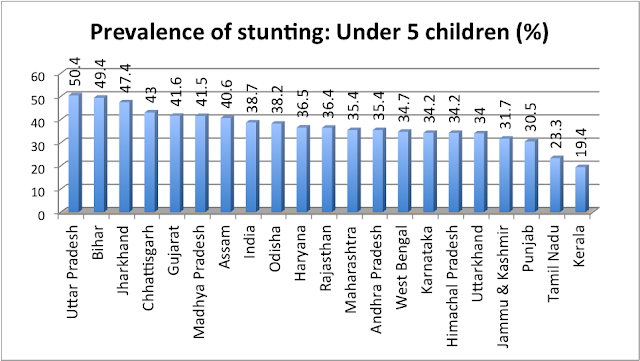 The study, which has been carried out by the Public Health Foundation of India, and jointly sponsored by Transform Nutrition and UK Aid, further says that 41.6 per cent under five children in Gujarat suffer from stunting, which is the fifth worst among 20 major states; and 18.7 per cent suffer from wasting gujarat(or low weight for height), which is the third worst among 20 major states. “Between 2006 and 2014, India’s stunting rate of children below five years declined from 48 per cent to 39 per cent. 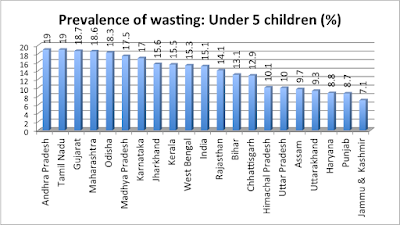 This decline in stunting in India is translated to 14 million fewer children and decline in wasting is translated to seven million fewer wasted children. 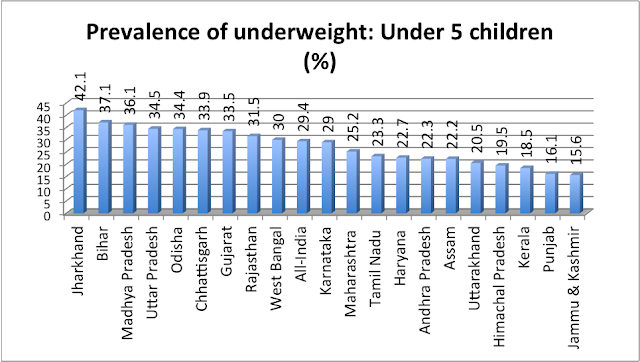 Despite this, child under-nutrition rates in India are among the highest in the world. 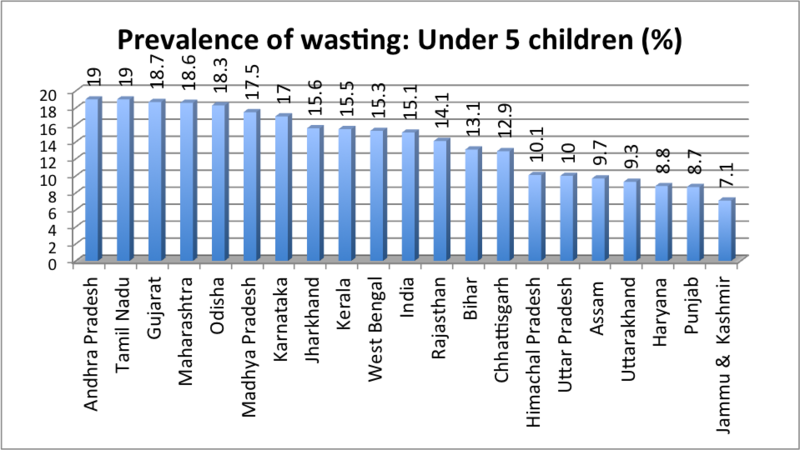 India is still home to over 40 million stunted children and 17 million wasted children under five”, the study adds.